Oldboy Remake Trailer – My Reaction – Screenkicker! Uh-oh. It was inevitable I would come across the trailer for Spike Lee’s remake of Chan-wook Park‘s classic Oldboy. Anyone who knows me knows I like to bore them talking about the South Korean original. It really is a modern masterpiece and everyone needs to watch it immediately. I can wait…… OK you’re back. Now have a look at the trailer for the remake starring Josh Brolin and Screenkicker favourite Elizabeth Olsen. The problem here is that the remake has never stood a chance. There were only two ways it could go, either a new story that’s loosely based on the original, or a straight remake. The first way had potential to do something different and the second way seems completely pointless. Lee seems to have taken this second route. 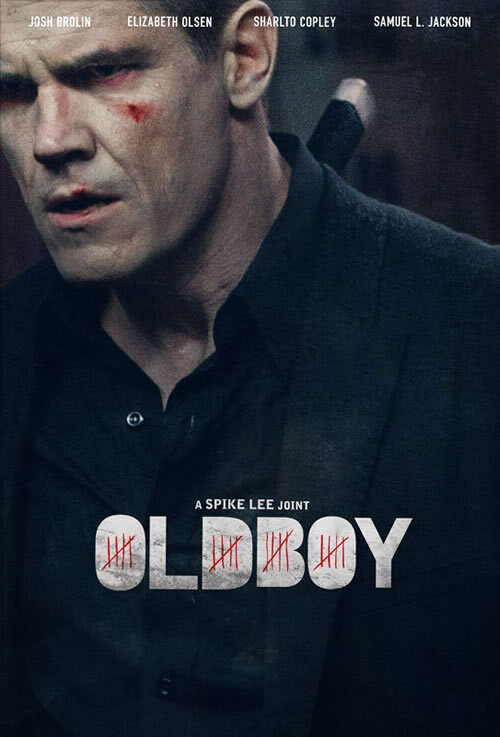 With Oldboy being a gut punch of a movie that had shitloads of style and a truly twisted story then maybe new viewers will get something out of it while those familiar with it may be left cold and bored. So I’m honestly not feeling great about it but if the performances are good and Lee can capture some of the essence of the original then it might be worth a watch. All we can do is wait and see. Oh and Spike, you better not wimp out on that ending. Previous I’ve been nominated for an award! I would assume most Americans have never seen the original. If it’s a good film isn’t that the point? The Departed won many awards and it was a remake of what many consider a superior film. Yeah it’s fine if you’ve never seen the original but i can only see it as a fan of the original. The Departed was in the safe hands of Martin Scorcese, this is Spike Lee we’re talking about! I’ll watch it but still hasn’t won me over. I’ll definitely watch it too. Never know, i might be surprised! You need to watch it immediately. I want to see what you write about it!